GDP includes the total value of final products that are produced and sold (and not resold) within the current year. In 1947, per capita GDP of the US was only about $1700, but has since grown to about $52,000 in 2016, and has not been increasing in recent months. The growth rate has been about 5% per year ($1700 × 1.0570 is roughly $52,000). Of course, much of this reflects inflation. For the same period, the average inflation rate (GDP deflator) has been about 3.5%. Thus, the net or real per capita GDP growth rate has been about 1.5% in the US. (y = Real GDP = Y/P. ^y = ^Y - ^P =5% -3.5% = 1.5%). During the post-WWII period until about 1980, business cycles had short duration. A recession occurred about every five years. After 1980, it occurred once a decade. US exports to China totaled $69.7 billion while imports from China totaled $337.8 billion in 2008. Thus, US-China bilateral trade deficit was $268 billion in 2008. These charts were made by http://www.economagic.com. US-China trade deficit was $347 billion in 2016. If you connect $1,000 bills to make a long string of bills, it would cost about $260 B to circle around the entire earth. If you connect New York and Tokyo with $1000 bills, it would be less than $130 B. (40,000km = 133,512,000 ft = $267,000,000,000 (2 bills per foot) = $267 B. It costs about $11 B to cover one time zone. Japan achieved the most impressive growth record of the post World Wart II era. In 1950, the real per capita GNP of Japan was less than 1/5 that of the U.S. $1,060 compared to $6,330 for the US. 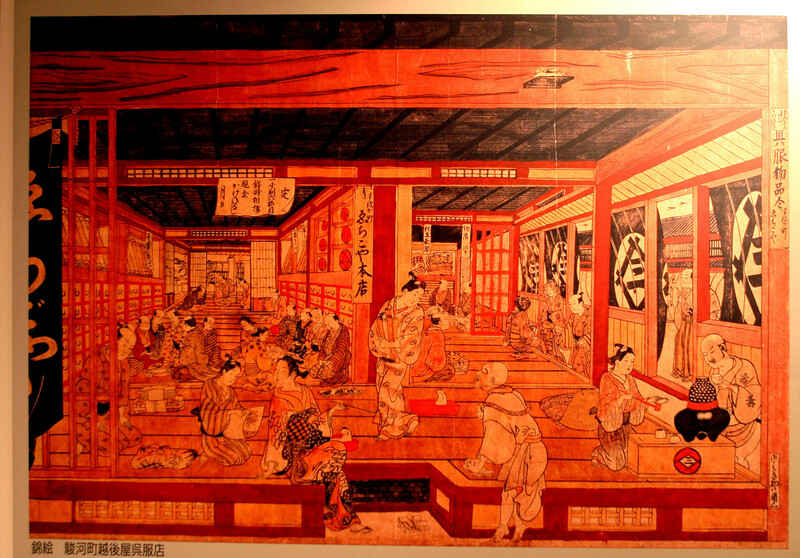 However, the Japanese economy grew during the period 1950 - 1980. Japanese real GNP grew at an annual rate of 7.4%. If the growth rates were sustained, Japan's income would be higher than that of US before 1990. However, Japan's economy collapsed in the early 1990s, and its growth rate has since declined, which can be attributed to protectionism. China's growth rate has been over 10 percent during the past decade, which is likely to be sustained for another decade. But China's protectionist policy may slow their growth. Some experts predict China's economy will surpass America's before 2030, while others (George Friedman) predict otherwise. N = # of years it takes for a growing variable to double. Some people also use the Rule of Seventy Two (72/g = N). For growth rates less than or equal to 5%, the Rule of Seventy is more accurate than the Rule of Seventy Two, which is more accurate for g > 5%. However, both rules underestimate the actual value of N when g > 10%. Remember that these rules are for approximation purposes only. Use either rule only for growth rates less than or equal to 10%. For more information, read my note on The Rule of Seventy. The same rule can be applied to negative growth, i.e., 70/g is the number of years when the entity halves, where g is the absolute value of the shrinking rate. If the growth rate is 10 percent, (1+0.1)n= 2. 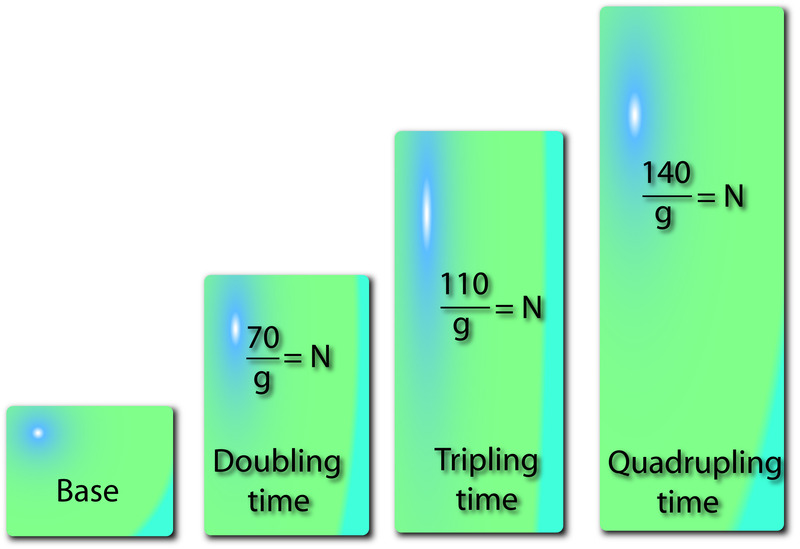 N = # of years it takes for a variable to treble or to third (to reduce to one third) its size. The Rule of 140 (140/g = N) tells us the number of years it takes for a variable to quadruple or to quarter (to reduce to one fourth) its size. This rule can be obtained by applying the rule of seventy (or seventy two) twice. For growth rates exceeding 5%, Rule of 144 (72 x 2) should be more accurate than the Rule of 140. What if the growth rates exceed 10%? obviously, use 100 rule for g = 100%, which means 100/100 = 1, or if the growth rate is 100% per year, it will take exactly one year for the growing entity to double its size. But who is going to remember all these numbers? So, here is an even more pracrtical way to memorize the above numbers. For every 10% increment in the growth rates above 0%, add 3 more years to the rule of Seventy. In other words, if the growth rate is slightly above 10%, use the Rule of Seventy Three. If the growth rate is 40%, (3 × 4 = 12%, and hence) use the rule of (70 + 12) = 82, etc. This is a useful and practical rule, which slightly deviates from the above numbers. World Bank: 1991 (World Development Report, 1993). GDP = gross domestic product. As in "per capita GDP of Beijing," which is above $17,000, we can calculate GDP of a region such as Hong Kong and Macau. This does not mean Hong Kong is a country; it is a special administrative region of China (Hong Kong SDR). Warning: it is important to note the limitation of GDP when comparing the living standards of countries. These income figures are computed using the current exchange rates. By definition, exchange rates are biased in favor of traded goods because they are based on the prices of traded goods and nontraded goods are ignored. These may not reflect the real standard of living. For example, in 2016, US per capita GDP was $52,000 and that of China was about $8,000. This does NOT mean that the living standard of a typical American was 6.5 times higher than that of a Chinese counterpart. In real terms, the living standard of the US may be three times that of China, because the price of nontraded goods tend to be higher in developed economies. Realistically, Americans may be only two or three times as well off as the Chinese, due to low prices in China. Also, the World Bank report argues that for example, Americans live in spacious houses and less polluted environment than the Japanese, even though per capital income levels of both countries were about the same in the early 1990s. European Union (2016): GDP = $17 trillion, population = 501 million, per capita GDP = $33,000. In reality, consumer prices are much higher than in the US. World Bank estimates of GDP, 2016: US = $18 trillion, China = $11 trillion, EU = $17, world = $78 trillion. corporate income tax = 12.5%. (1/3 of national income is from the multinational firms, 1/3 is from selling postage stamps), famous for three Nos: No poverty. No crimes, No unemployment. See World Population Growth, 1998. To get more information about population, visit Population Reference Bureau. Until the Renaissance times, the world economy had been stable but stagnant. Per capita GDP of Western Europe was about $400 - 500, slightly lower than China. In 1405 Zheng He, a Chinese admiral, led an expedition of 317 ships with more than 28000 troops to the west, reaching eventually Europe and Africa. (When he was a boy, he was caught in a Mongolian rebellion which was squashed by the emerging Ming dynasty, and was castrated. Subsequently, he served under Emperor Yongle.) After he returned, the new emperor decided to stop trading with the foreign countries because there is nothing China can learn from them. This action may have been responsible for the subsequent decline of China that lasted six hundred years. Some argue that Zheng He reached Europe, but this is questionable because (i) the circum-African voyage would have been difficult, and (ii) Europe was not important yet during that period (1405-1433) because the Byzantine Empire (330 - 1453 AD) was in decline. Western Europe began to surpass China around 1500 AD. 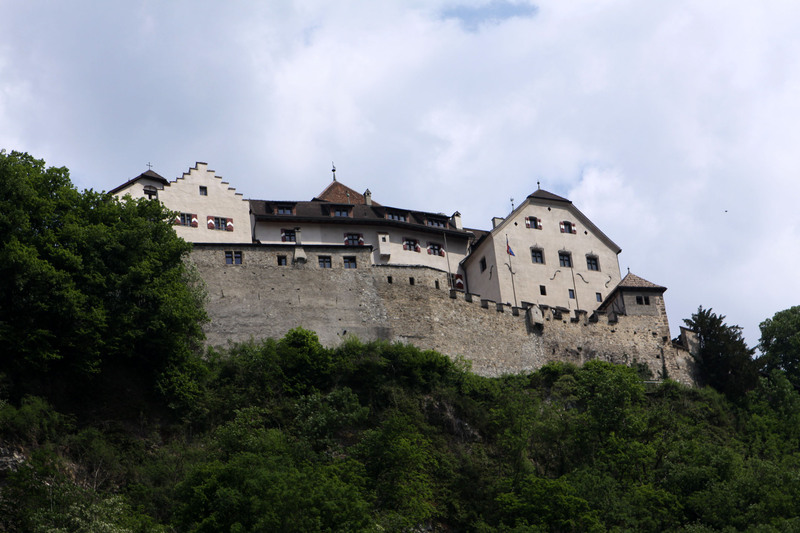 Because of Black Death in 1348, wage rates roughly doubled in Europe. (w = 3 soldi, 8 denarii in 1346, increased to 8s. 5d. 90 soldi = 1 florin in 1466). 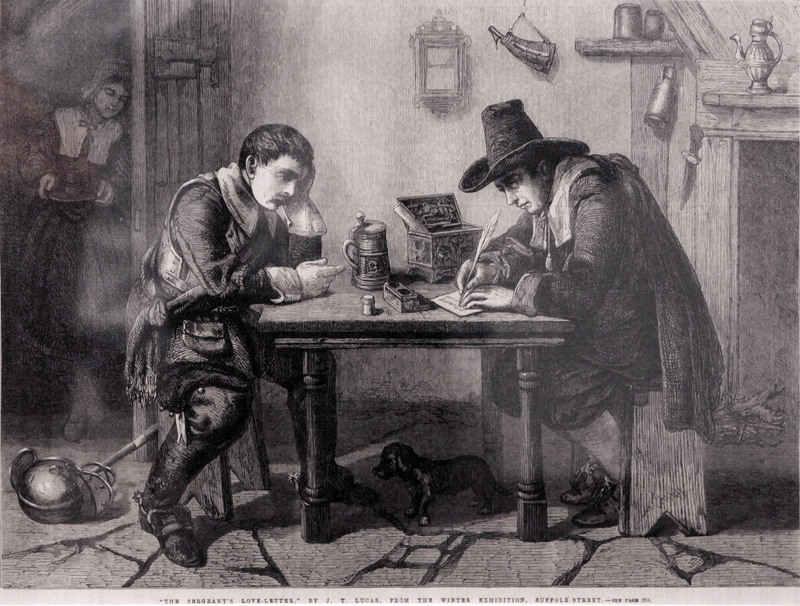 As a result, skilled workers began to accumulate assets. Boticelli charged 35 florins for labor to complete a painting a year, a standard practice then. annual wage was roughly $450 in 1400. After the fall of the Byzantine Empire in 1453 AD, Florence, Milan and Venice began to attract artisans and skilled craftsmen (e.g., Leonardo da Vinci, and Michelangelo). Leonardo had designed a bridge for Golden Horn in Istanbul, but it was not adopted by the sultan. Lorenzo de' Medici sent him to Ludovico Sforza, duke of Milan to sure peace. Leonardo worked for Ludovico (1482-1499) and painted the Last Supper. Florence was noted for the wool industry. It also began to produce and export silk to other European countries. Through the industrialization and concentration of workers in urban areas the middle class expanded in Europe and Asia. David Teniers, Flaemische Kirmes (1640) (Flemmish Festival). 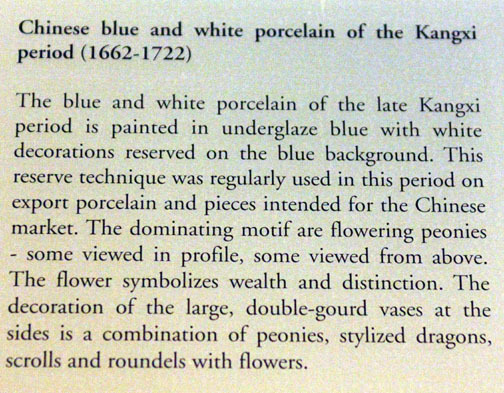 Blue and white porcelain, Kangxi period. 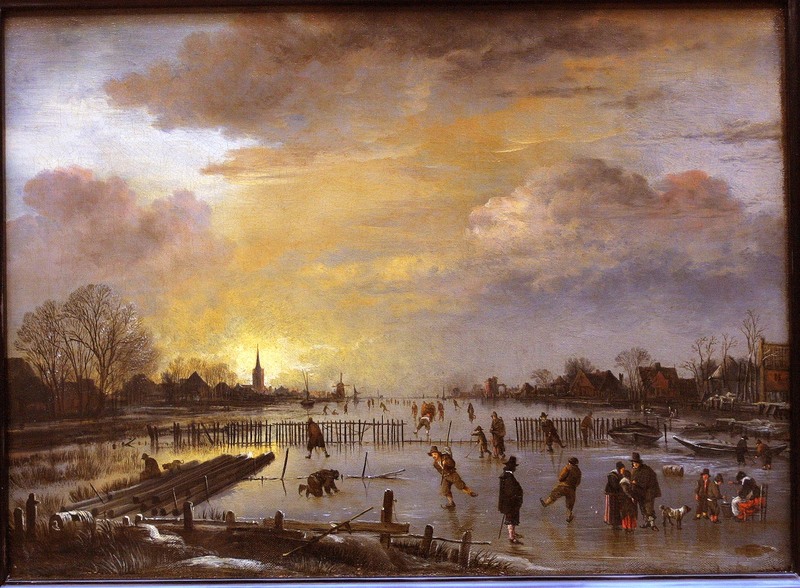 Aert van der Neer, Winterlandscape with ice skating (circa 1650 AD in Amsterdam), Gemeldegalerie, Berlin. Europe begins to surpass China. Europe's per capita GDP reaches $1200. GDP growth was about 2%, breaking the record. 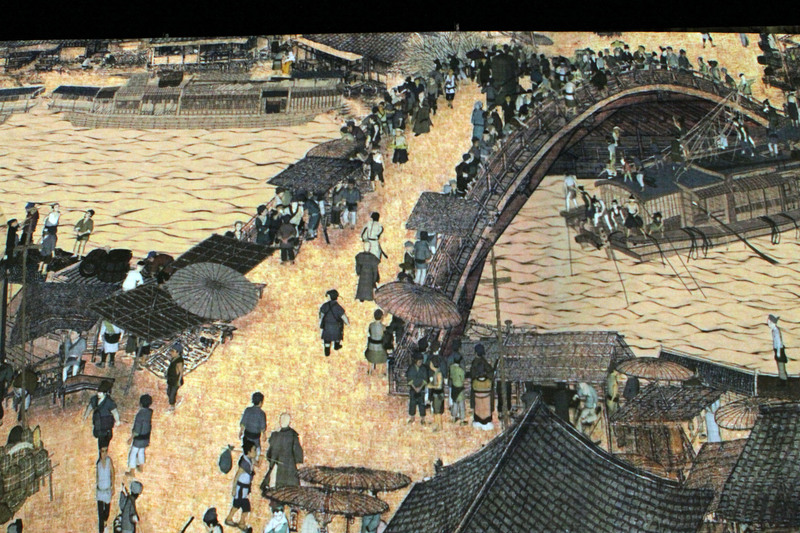 Japan copied China's closed-door policy (1630s) until Meiji Restoration. During the 20th Century, per capita income of the world more than quadrupled. That is, per capita GDP more than doubled every fifty years (or a growth rate of 1.4% per year). Income statistics have been gathered during the last century, and there is no income data four centuries ago. However, the two paintings above suggest that per capita income of Europeans four centuries ago would have been less than $500. Investment has been neglected during the past two decades. Personal savings rate was about 10% of income until 1990, but has since steadily declined, even below zero. Pesonal savings were negative in some years (2005). Noting that US share of the global GDP was more than 50%, some argue that America is declining. Since 1980, America's share of the global GDP has been stable around 25%. From 1980 US share of world GDP has been stable. World Trade in 2010, $15 trillion as of 2010. (GWP in 2010 = $66 trillion), 15% growth. World trade increased from $6.5 trillion to $15 trillion. China surpassed Japan as #2 after the US in 2010. China's GDP is currently about $11 trillion (2011). RMB renminbi (yuan in Chinese) is undervalued. This means in real terms China may have higher GDP than the US. By 2030, if not sooner, China will surpass the US. China's car market is expected to be 50 million cars per year by 2030. China's success comes at the expense of workers and companies throughout the developing world that offer cheap labor but not much else. Even in India, which has some of the planet's lowest wages, low-tech industries can't compete with the Chinese in productivity. 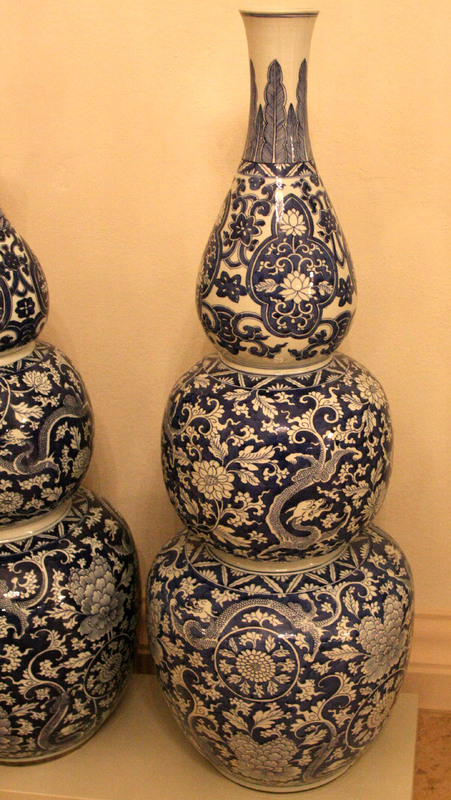 Shops in Bombay and Calcutta are flodded with Chinese goods. The Indian government is so worried about China that it has refused to allow Chinese software companies to locate in the high-tech center of Bangalore and scotched plans by software powerhouse Infosys Technologies to train 200 Chinese employees in India. Already, more than 100 million peasants have flocked to the cities in search of work, and that number is likely to increase, adding to China's angry underclass. (i) China's statistics are not reliable. China's provinces reported growth rates that are higher than the national average. The average of provincial growth rates were 8.1%, higher than the reported national growth rate of 6.9%. (ii) China's growth crucially depends on its large trade surplus, which is not sustainable in the long run. China imports from the US: $130 billion. China's spending multiplier is roughly 3. The trade surplus raises China's GDP by roughly $1T. The US will address the issue of the bilateral US-China trade deficit. ⇒ In this case, China's growth rate will be affected.